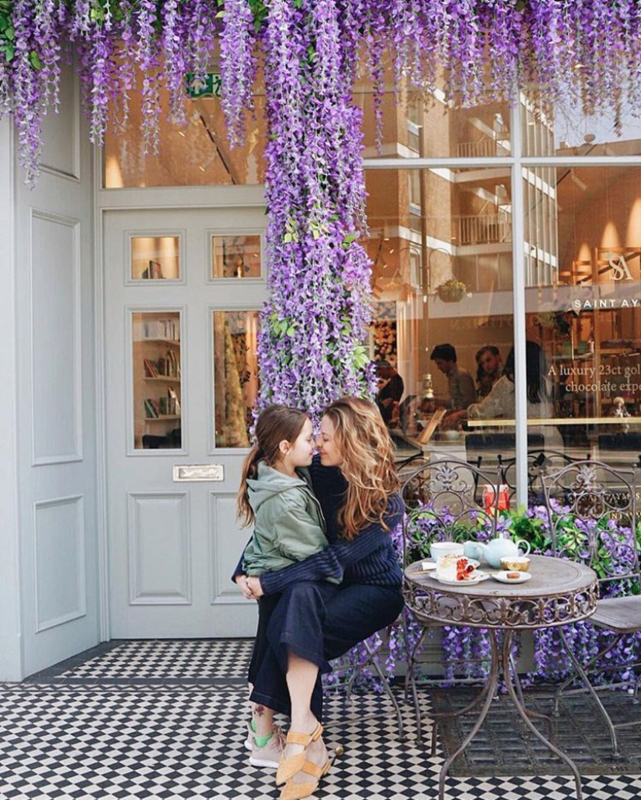 London is full of the cutest cafes and Instagram-able corners. 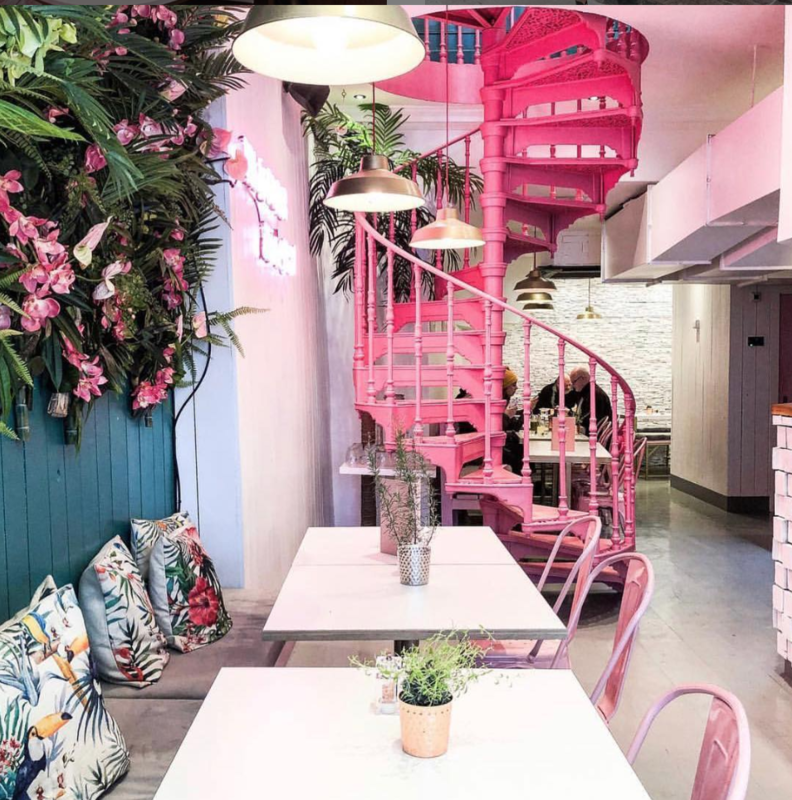 If you’re looking for where to go to get the “must-have Instagram shot” here are some of the most popular places in London to eat… but more importantly, to get the best photos. 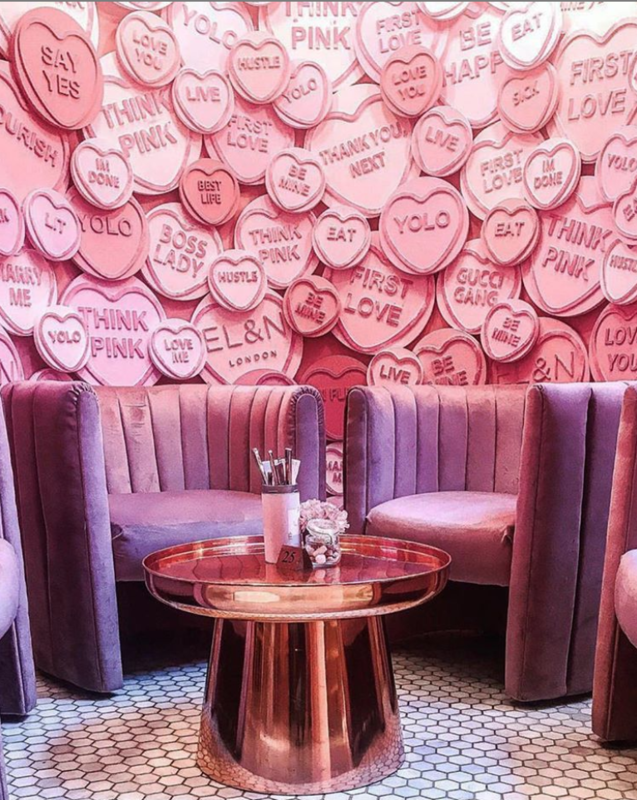 If you want the top London Cafe Instagram, you have to come here for their Candy Heart Covered Wall at the Hans Crescent, Knightsbridge location. It’s only there for a limited time, but all year round you can always count on their pink and purple floral wall, neon signs, and lush millennial pink furniture. 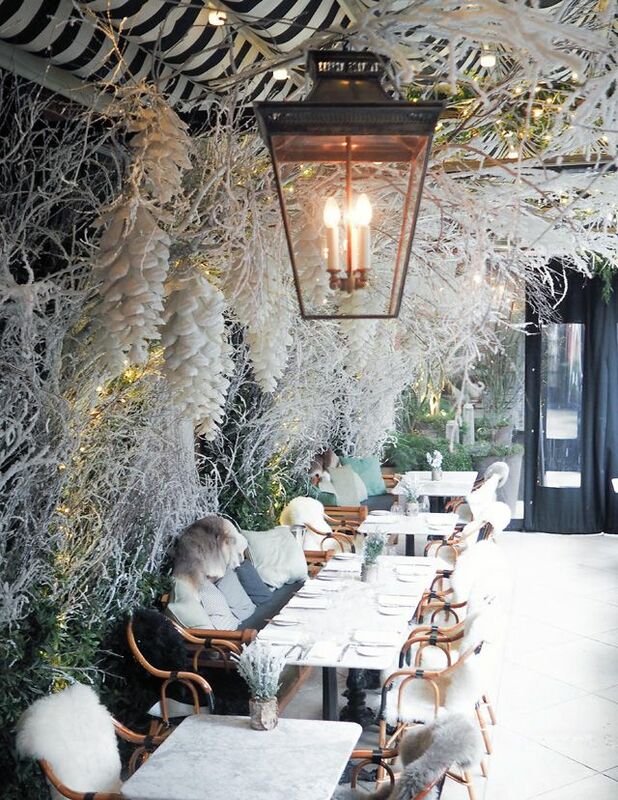 The Ivy on King’s Road is constantly changing their decadent floral walls. During the Chelsea flower show, this spot really comes into full bloom. At Christmas, the entire exterior changed into a real-life Gingerbread house. During Autumn, Early Hours brought deep fall floral wall to life…. It’s always changing, and always one of the top Instagram spots. I had tea time with Gigi here and really treasure all of our adorable little dates together. She’s already grown so much since then! 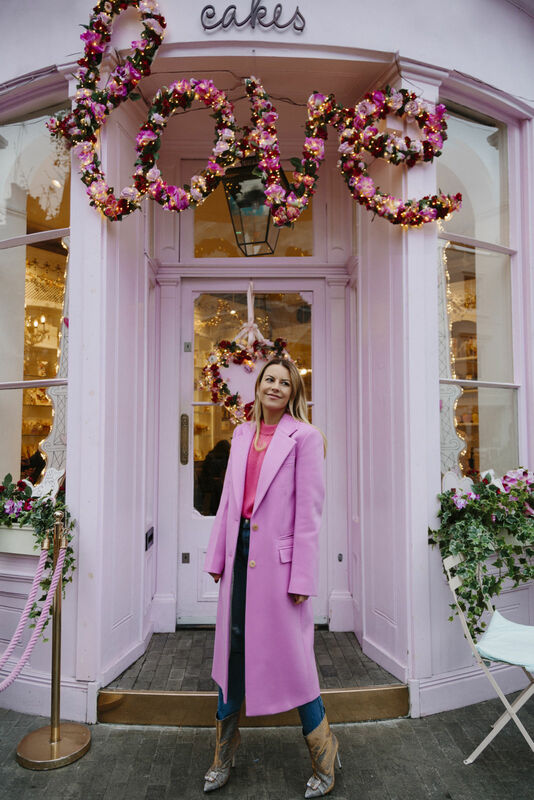 The kids love the macaroons and delicious cakes, and anyone who wants a floral filled Instagram feed, will love the whimsical pastel setting. 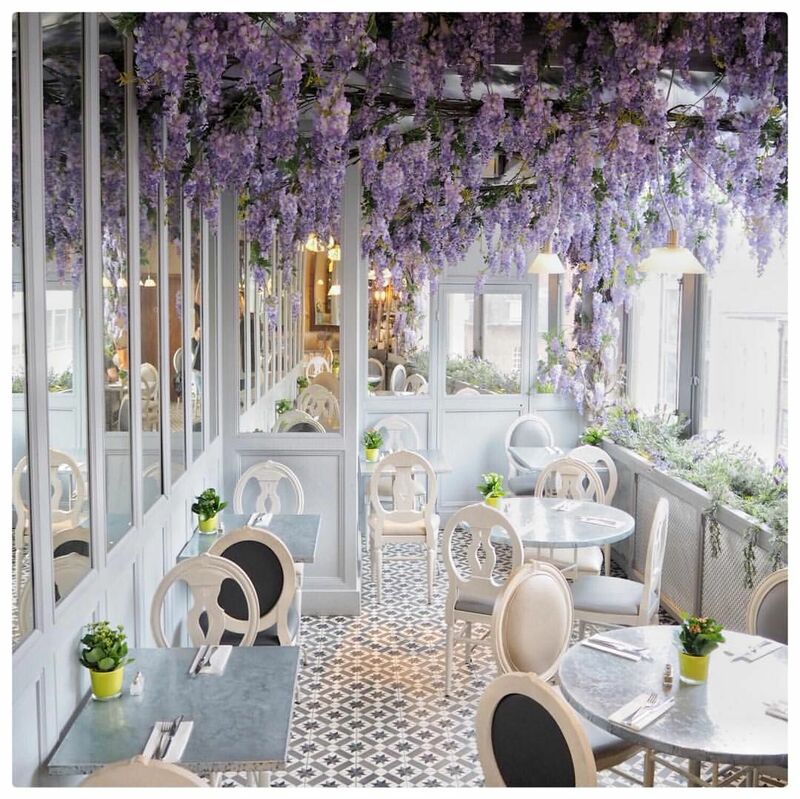 Their wisteria covered exterior first got this cafe on the map — now their blush peony wall is all the rage. *Come early to get a table outside, there’s always people here taking photos.And if you need a prop, order the unicorn Latte. It’s too sweet for me but looks cute in a photo. It’s been around for years but this adorable little cupcake shop always has girls lined up waiting to get the gram! They’re about to open another location on King’s Road. The shot to get in just outside, under the sign and floral archway. 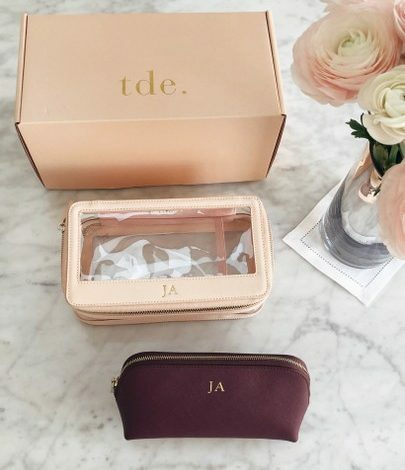 They always have really photo-friendly set ups, especially around Valentine’s Day. 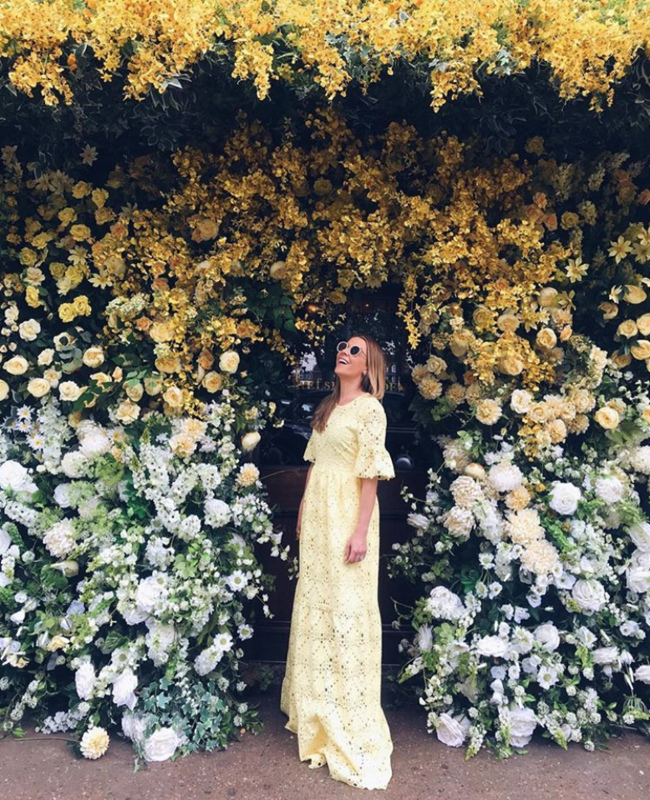 Floral walls will always be popular, but floral ceilings have been the latest Instagram thing. Aubaine in Selfridges is another popular London Instagram spot, frequently spotting on feeds. The cafe itself does get quite crowded as it’s on of Selfridges most-popular for grabbing a bit before of after shopping. For you best chance of getting the best shot, come early when they open at 9:30am for breakfast. The menu here is actually pretty good and there’s always a seasonal set up to snap a picture of — especially around Valentine’s Day, Halloween, and Christmas time. 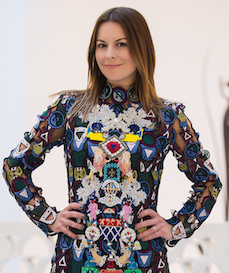 The setting does change, so don’t be surprised if you show up and the florals look a bit different, but overall there’s always something here to be ‘grammed. This place is known for their heart-shaped, dipped churros. 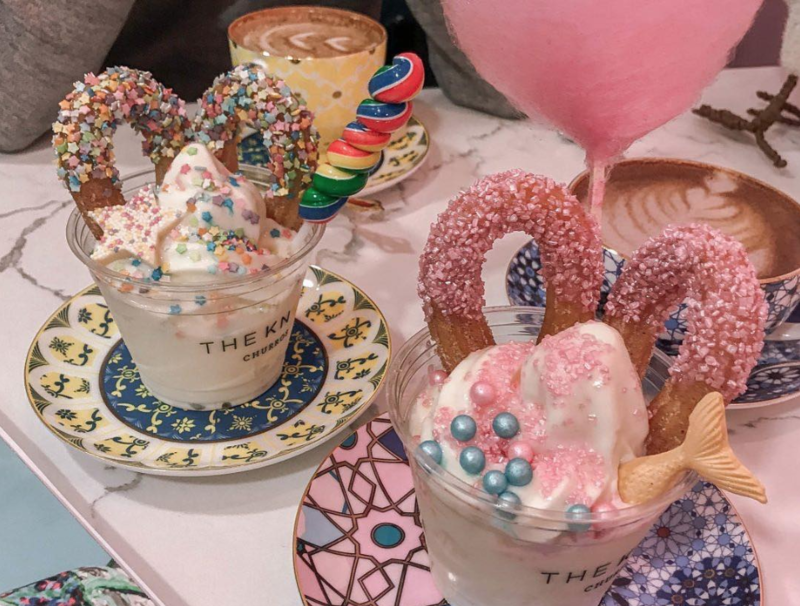 Snap A shot against their birds of paradise wall and under their, “What’s your knot” Neon Sign or order something over the top like cotton candy topped ice cream or rainbow springled churros, to take your Instagram to the next level.